What are MERCURY course evaluations? 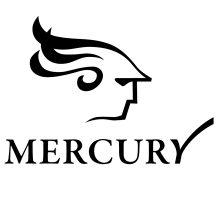 MERCURY is McGill's online end-of-course evaluation system. Students have the opportunity to provide written comments and numerical ratings at the end of each course. MERCURY facilitates all aspects of the official course evaluation process: collecting anonymous feedback from students, viewing of results by instructors and academic unit heads, and making numerical results available to McGill students. The MERCURY system is key to McGill’s ongoing work to provide students with enriching learning experiences. Student involvement in this process is critical to enhance the general quality of teaching and learning and all students are strongly encouraged to participate. Guidelines for students are available on how to provide constructive and respectful feedback. Instructors may add up to three (3) questions to their course evaluation questionnaire. Learn about the importance of student feedback directly from instructors and academic unit heads. Teaching and Learning Services oversees and administers course evaluations at McGill University. New tool for instructors - "Putting student feedback into perspective: A tool for reflection and action"